Extensive research by the iOpener Institute for People and Performance concludes that “Employees who are the most productive are also the happiest at work.” In tough economic times, every business has to look at ways to cut costs. But fewer companies look at the other side of the equation: Productivity. If your staff could be 10 percent more productive, you’d automatically improve your profitability. Managing motivation and tackling teamwork are important for boosting motivation; however, IT is also a big stumbling block to productivity. 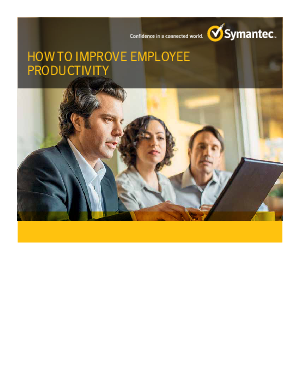 Whether it’s the quality of tools employees have to work with, ease of access to information, or a helpful nudge away from distractions, technology can play a big part in enhancing employee productivity.